being little • bristol uk fashion & lifestyle blog. : my favourite tea. 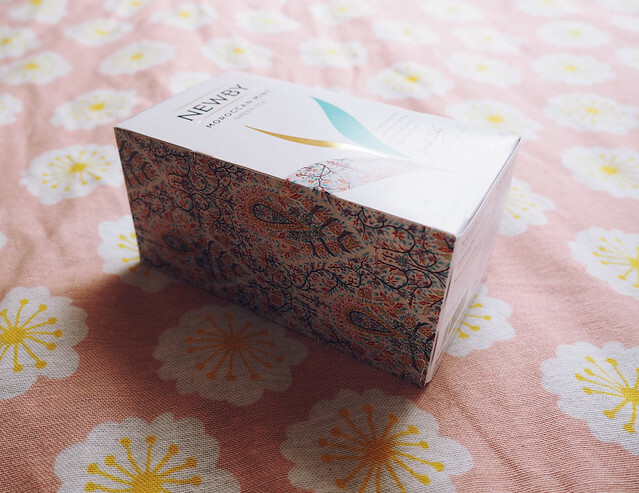 The classic Newby boxes have been redesigned - they are now adorned with photos of vintage Indian textiles that belonged to the founder's late wife. They are beautiful, and a welcome addition to my kitchen. Even the individually wrapped teabags inside match the box - I love this attention to detail. 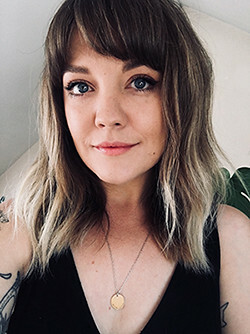 I thought this'd be a good chance for me to christen my dreamy new mug that Bee popped in mine & the other girls' bridesmaid boxes - there's a really sweet post about it all here! Well worth a read, even if I do say so myself. I've been drinking a lot of peppermint tea lately, but I thought I'd give this Moroccan Mint Green Tea a whirl. You've got to mix it up, y'know. It's very refreshing! I even cooled some in the fridge and had it one morning with some ice cubes instead of my usual cup of tea/coffee. The zingy, mintiness was a lovely little wake up! 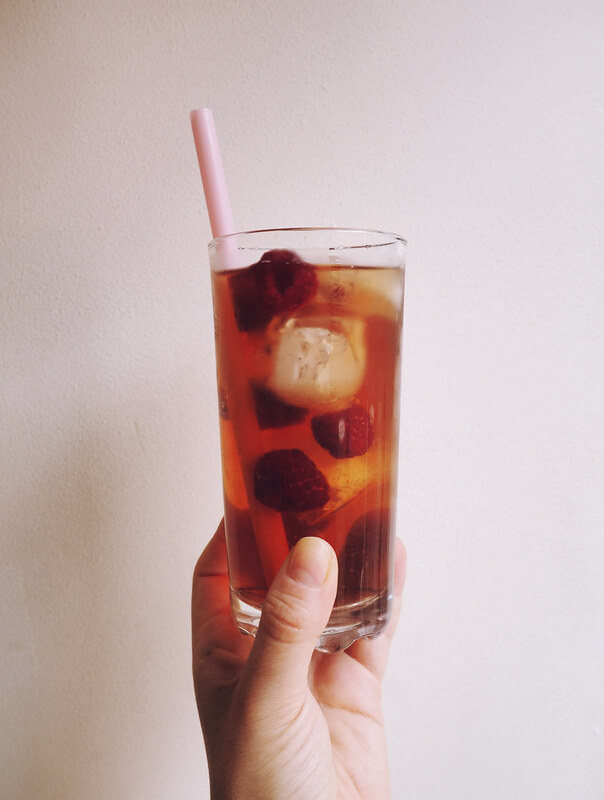 I made another little iced tea concoction with the Strawberry & Mango Black Tea, brewed for a couple minutes, chilled, and then served with ice cubes and frozen raspberries - I would've used strawberries, but I always have raspberries in the freezer! 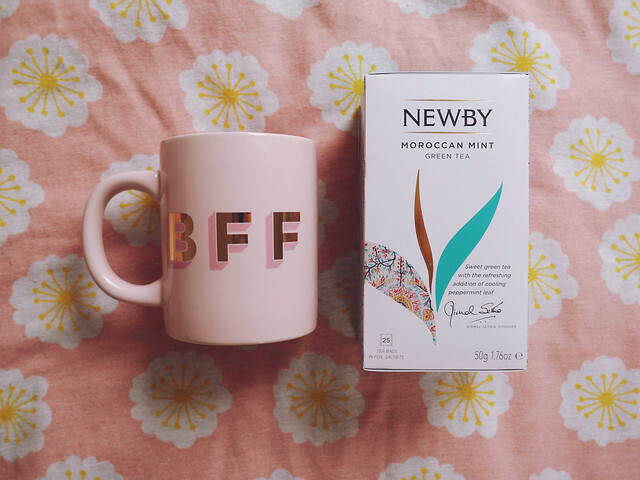 • Brew one Newby Summer Berries teabag, one Newby Peppermint teabag, and one Newby Sencha Green Tea teabag at 85ºC for 4 minutes in a pot or jug. • Leave to cool, then pour into a glass filled with ice. • Stir and top up with a little chilled water. 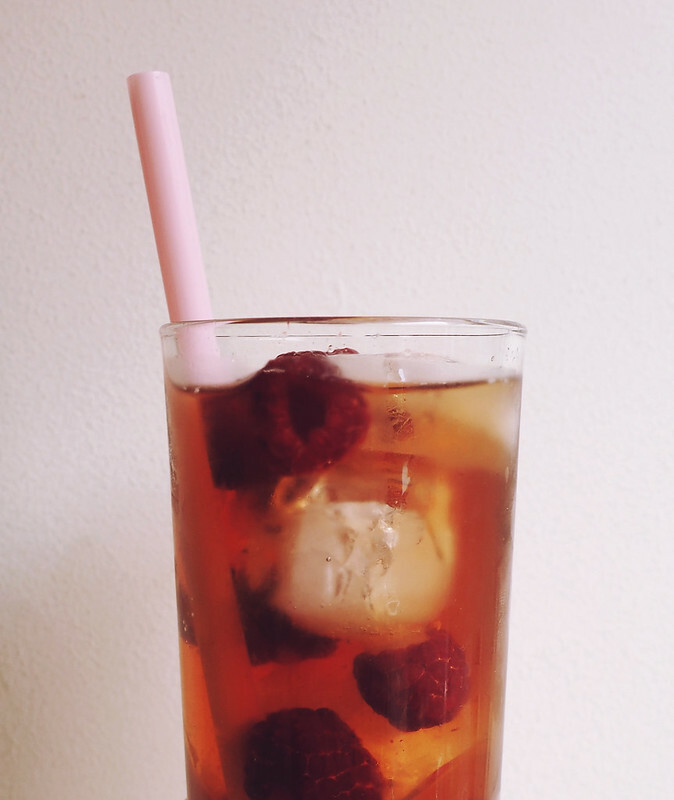 • Garnish with mixed frozen berries and a sprig of fresh mint. 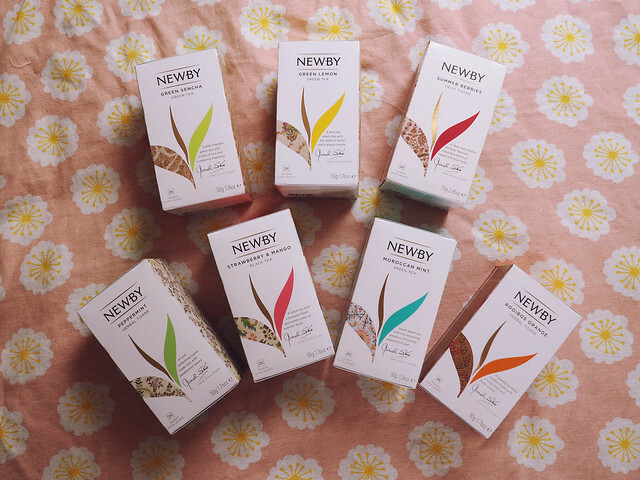 • Brew 2 Newby Rooibos Orange teabags at 100ºC for 5 minutes in a pot or jug. • Garnish with fresh orange slices, and a sprig of fresh basil or rosemary. 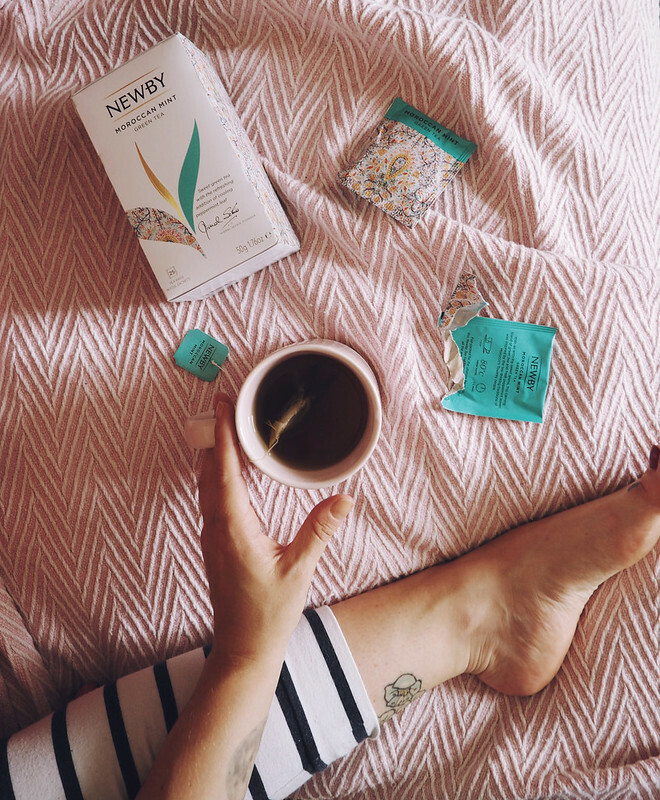 What's your favourite way to drink tea? 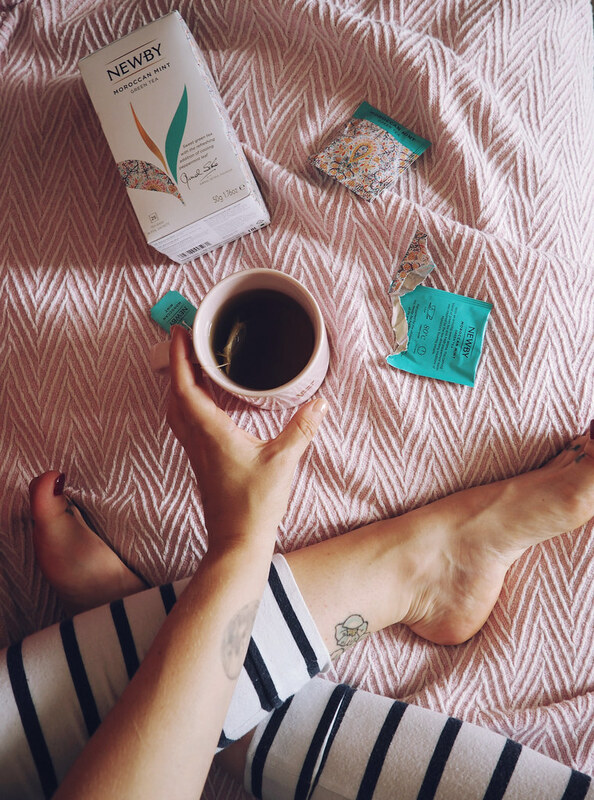 I'm always on the lookout for new teas to try and these recipes sound great so I'm definitely going to give them a go! I've never heard of this brand (then again, it might not have hit Australian shores) but I'll take away the idea of mixing tea flavours!